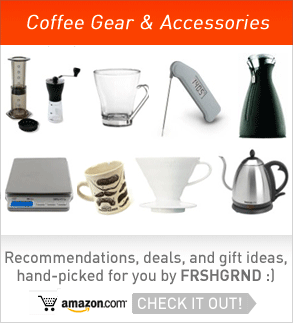 I just signed up for Tonx Coffee’s subscription using their $10 off coupon and thought I should share my experience. 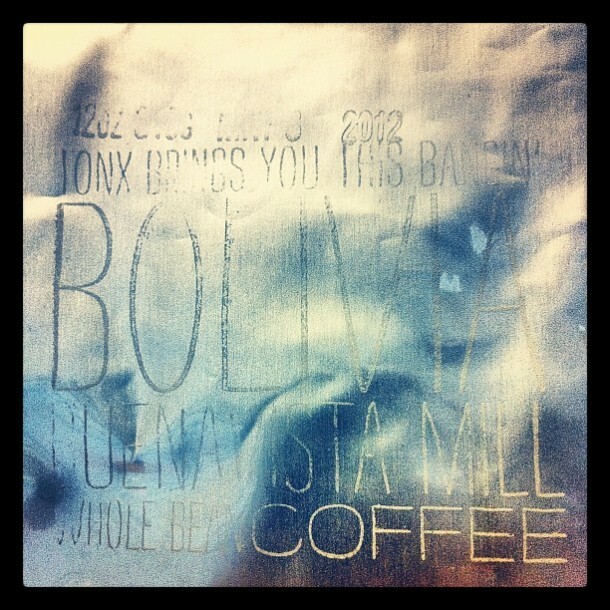 The first shipment I received was a coffee from Bolivia’s Buena Vista Mill. The silver packaging is iconic, and hard to photograph. The written materials in the box walk a fine line between personable accessibility and providing relevant information about the coffee. As a bit of a coffee geek, I like to learn something from every coffee I try, and I was curious to know a little more about the origin of the particular coffee in the box, and perhaps some fine-tuned suggested brewing parameters. Shipping just one coffee at a time seems like it would offer the luxury of personalizing the experience a bit more than what I saw – it could even be done through the website. Not a complaint, just an observation. I should preface my review of the coffee itself with a caveat: ever since moving to New York I’ve been tweaking my brewing methods to account for the different tap water here. I’ve found that the coffee extracts much faster, perhaps due to lower water TDS (total dissolved solids) compared to other places I’ve lived around the world. My coffee brewing has been a bit hit or miss because of this, with a narrower margin for error than I’ve been used to. For instance, in Korea and Sweden I typically steeped my Aeropress brews for about ~2 minutes; here in New York I find that anything past ~50 seconds is bitterly over-extracted with my typical grind setting. I’m still trying different variable adjustments to find a sweet spot as you’ll see in the recipes below. 1: Coffee less than a week from roast date: Aeropress, 16g coffee, ~235ml water, temperature at ~202F, steeped for 1:40 and pressed for 0:20, using the Disk Fine metal filter, and a relatively coarse 15 clicks on the Hario Slim Coffee Grinder . 2: Same as above, but using a paper filter, a slightly finer 11 click grind, and steeped for 0:50 with a 0:20 press. The paper filter in this instance had better texture, probably due to the finer grind, but both were light bodied and tea-like, slightly astringent, sweet, herbal, and nutty, with a mellow orange-like acidity. A sophisticated structure of flavors, but the lack of body really killed it for me. Maybe I needed some slight agitation or more time to bloom and more evenly saturate the brew as it was pretty fresh? 1: Coffee about 12 days old: V60 pour-over, 16g coffee, ~230ml of 196F water, 11 clicks on the Slim Mill which is a touch coarser than I normally use on V60. 2: Coffee was 16 days old now: Aeropress, 16g coffee, 230ml of 197F water, steeped ~0:50 and pressed ~0:20, 11 clicks on the Hario Slim. These both tasted amazing, aromas of warm raisin and toast, flavor was sweet and balanced, mellow orange acidity, raisins, nuts, and cacao. Their roasting style rewards patience with complex flavors that only emerge after it has cooled closer to room temperature. I’m looking forward to trying the next box, but I’ve postponed my shipments for a while as I’ll be visiting Los Angeles next month. 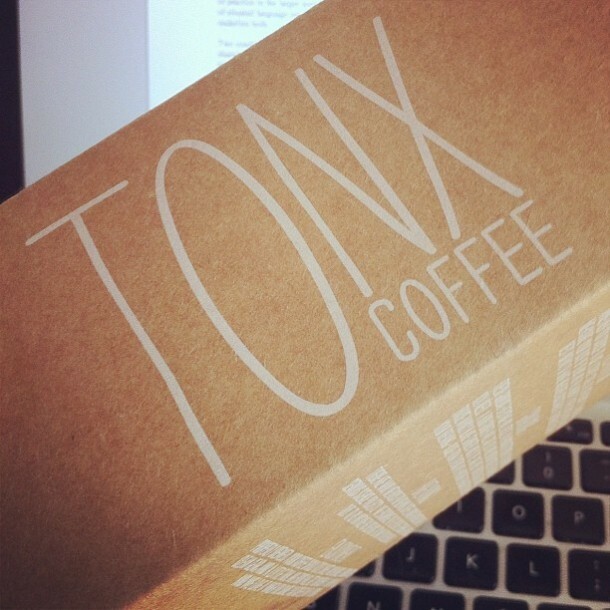 If you’ve tried Tonx Coffee I’d love to hear your opinions & the method you used to get the best flavor – post a comment below. Previous postRosie's Coffee & Wine in Malmö, Sweden Next postAble Brewing Equipment, Inc. I have been a Tonx subscriber for a few months now and have had awesome brews with every bag. One thing I have consistently experienced with their coffee is that it is best enjoyed after it has cooled down a bit. Patience definitely pays off. One of my favorite features about the Tonx program is how there is no way to find out what you are getting until it arrives in the mail. The anticipation of getting the next bag and not knowing what it is reminds me, cliche as it may sound, of film vs. digital photography with respect to the time it takes to develop the film.